Transition time at Westenhanger on 11 May 2002. 3221 speeds westwards through the station with the 9019 10:19 Paris Nord to Waterloo service. 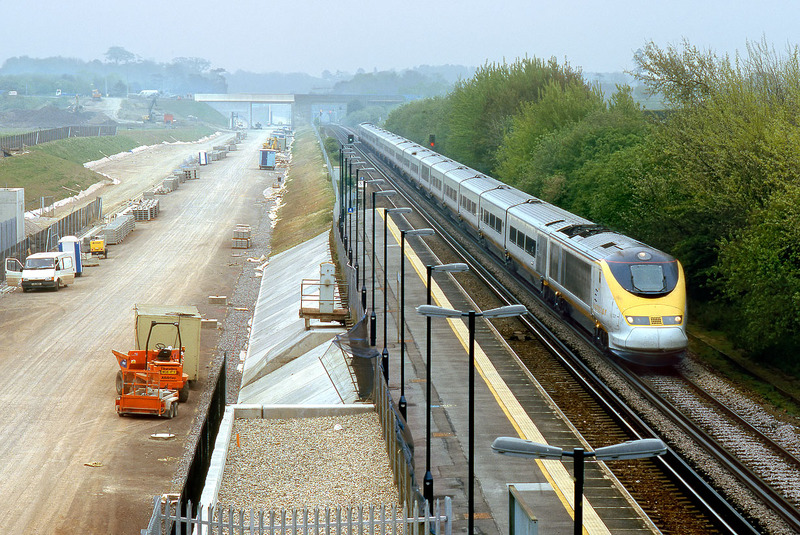 Work is well under way to construct the parallel Channel Tunnel Rail Link (HS1), which in due course would be the route that the Eurostars would use in this country. Coincidentally, I visited this location exactly six years earlier, before any work had started, and when the station's down platform was backed by tall bushes.